Chef Martial Noguier, Executive Chef and owner of Bistronomic, brings more than 30 years of culinary experience to the French gastronomic bistro located in the heart of the Gold Cost in Chicago. Originally from Paris, France, Chef Noguier worked for a number of French chefs before coming to the states. He continued to gain experience as executive chef and chef de cuisine for various prestigious hotels and fine-dining establishments such as Patina in California and Citronelle at the Latham Hotel in Washington D.C. before relocating to Chicago. 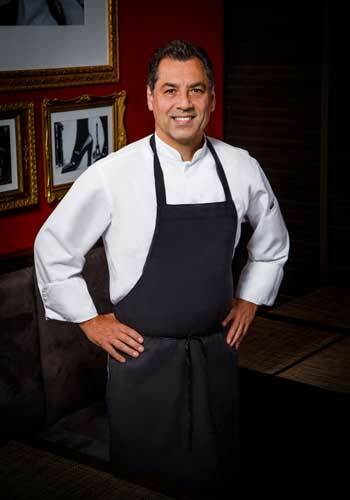 Prior to his position at Bistronomic, Noguier served as executive chef and corporate chef at the venerable Pump Room in the Omni Ambassador Hotel, One Sixtyblue and Café de Architectes at Sofitel Water Tower. Under his tutelage, One Sixtyblue was named the Best Restaurant of 2006 by the Chicago Sun-Times, and he received additional accolades from esteemed local media, including the Chicago Tribune, Chicago Magazine, and North Shore Magazine. While at Sofitel in 2009, Chef Noguier was honored as Chef of the Year by Chicago Social. Bistronomic opened its doors in February 2011 and was deemed Best New Restaurant by Chicago Magazine. Bistronomic was nominated by the James Beard Foundation amongst the Best new restaurants in America contenders, Martial Noguier was Nominated 3 times by the James Beard Foundation in the Best Chefs “Great Lakes”categorie. Featuring local and seasonal ingredients complemented by an extensive French-centric wine list, Bistronomic offers a creative and authentic French bistro dining experience. Still going strong after 6 years Bistronomic has 3 stars from the Tribune, 2.5 stars from Chicago Magazine, Best Burger in Chicago 2016 (from the Hamburger Hop competition), Best dessert in Chicago from “ Chicago Magazine’s 10 Best desserts in Chicago issue” featuring the Profiteroles, # 31ST Best restaurant in Chicago in 2017 from the “best 50 restaurants” list from CHICAGO TRIBUNE.